Pulmonary miliary tuberculosis occurs when bacilli draining through lymphatics enter the venous blood in large numbers, and circulate back to the lung via the right side of the heart. In systemic miliary tuberculosis bacilli are disseminated via the systemic arterial system. The two forms of miliary spread can occur independently or together. Miliary tuberculosis is usually a complication of primary tuberculosis in children, but it can occur in adults as a late (often terminal) consequence of chronic untreated organ tuberculosis. 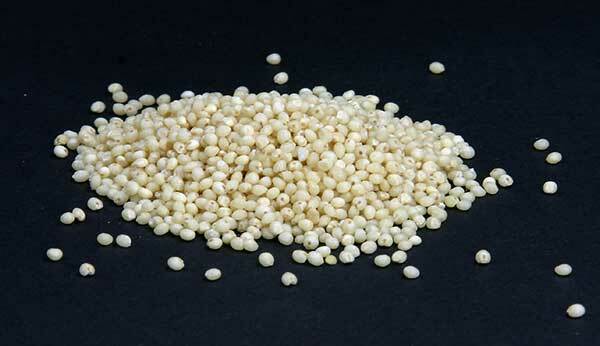 Millet seed, the origin of the adjective "miliary". No clinical data are available for this case. The child would have been acutely ill with high fever and pleuritic chest pain. The pleural surfaces show a number of delicate adhesions, and the heart shows a fibrinous pericarditis. 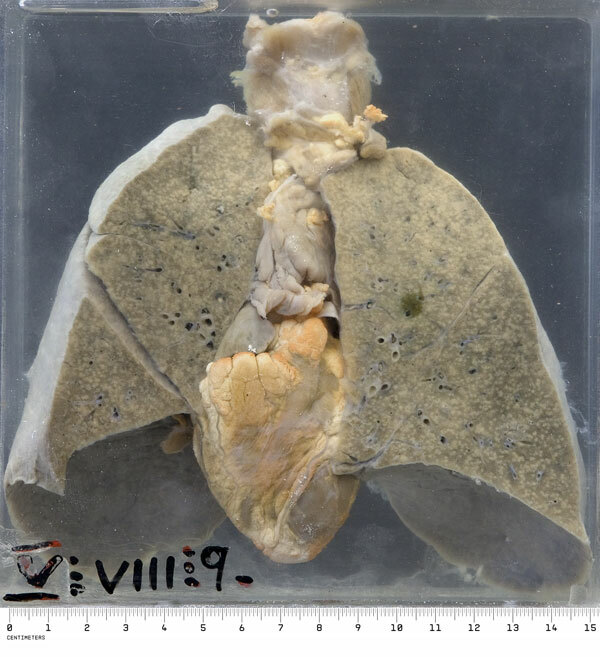 On the cut surface of both lungs there are very numerous, uniformly dispersed, pin-head sized white foci of consolidation, typical of acute pulmonary miliary tuberculosis. 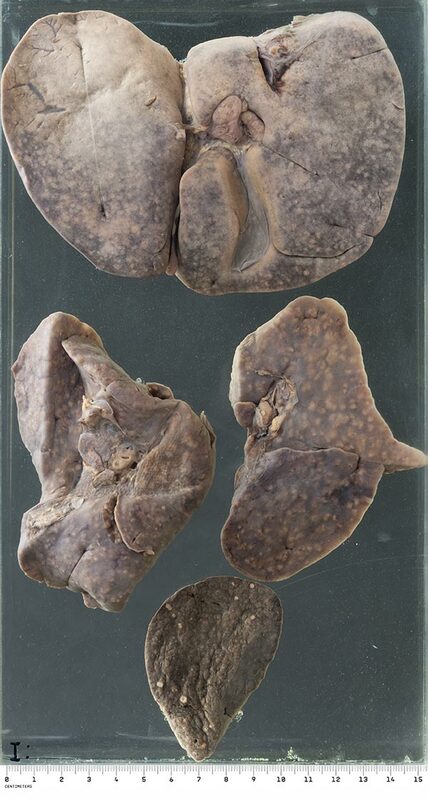 This specimen shows the liver, lungs and spleen from a 3 month old child. The miliary foci are of different sizes (indicating repeated or continuing bacillaemia) and are a little larger than in the first example (indicating longer survival of the patient).